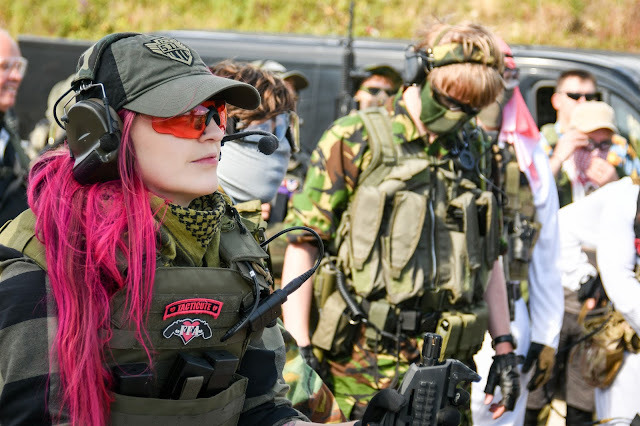 Last month saw the opening of a new online Airsoft retailer called weapon762.com that stock a wide range of brands for Airsoft and an exclusive range of TMC sport gear, a brand from a Hong Kong based gear manufacturer, at an affordable price - reportedly the best price on the market. With over 2,000 products and 2-4 day shipping to the UK from their warehouse in Germany, could this online retailer provide UK Airsofter's with great deals and rival other well known and well loved brands? Here I take a look at the TMC 'Jungle Plate Carrier' or JPC 1.0 from their store. So the Jungle Plate Carrier is a replica of the Crye Precision JPC or 'Jumpable Plate Carrier' but it's not just another cheap knock off - TMC use genuine US made MultiCam Cordura fabric but retails at a just under a quarter of the price. The Jungle Plate Carrier is designed to be a lightweight and minimalist vest solution for maximum mobility. 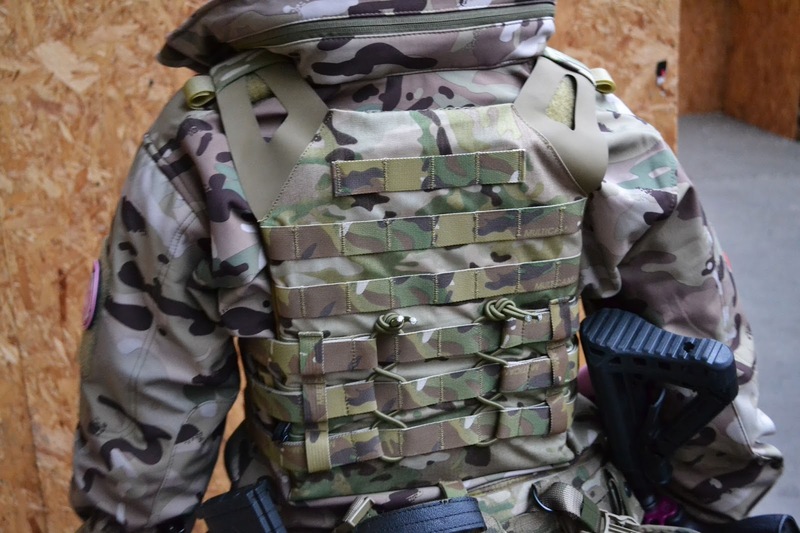 At just over one pound in weight for the entire plate carrier, even with the high density foam dummy plates included, the plate carrier focuses on shedding unnecessary weight and bulk whilst improving mobility and ventilation for the operator. With an abundance of molle on the front and back of the JPC it allows the user to customise their JPC with pouches etc. It also features an integrated admin pouch and 3 magazine pouches on the front of the carrier just like the Crye JPC. 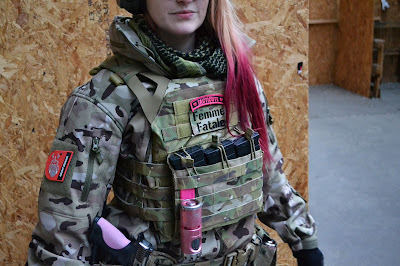 In regards to the quality of the product I was pleasantly surprised with the quality of the fabric - it has the same sort of feel of the MultiCam fabric that we know and love, the only noticeable difference that became apparent to me is that the the cummerbund is finished differently (and it is quite stiff due to being new). 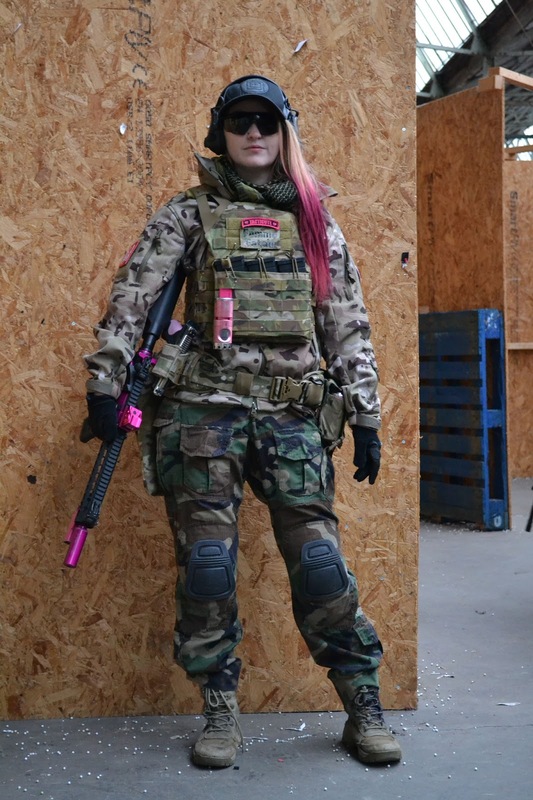 The fit was also a pleasant surprise, because it is so light and completely adjustable it the contours of my small lady frame well and was easy to wear all day so I would definitely recommend this JPC for Airsofters who want a lightweight, small platecarrier that doesn't cost the Earth! The plates aren't too flexible at first but they do flex up with some heat and movement. I decided to keep mine lightweight for a skirmish day so only chose to add a couple of patches and my TRMR HLDR. As the JPC already has a set of 3 built in mag pouches this was plenty for a few 120 round midcaps for the games. I didn't use the integrated admin pouch but it had room for pens, maps etc which I think would be useful during a MilSim or themed skirmish. I would probably wear this JPC during a MilSim for STAG duties or for a medic role because it is so lightweight. Finally let's chat about the price, the burning question - how much is it?! The TMC JPC retails at £47.69 which is a fantastic price point! 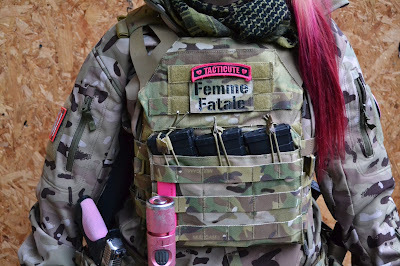 Femme Fatale Airsoft is also working with weapon762 to get you 10% off purchases from their site with the code femmefataleairsoft-weapon762, simply copy and paste the code into the voucher bar at the checkout and receive 10% off your order! Which means you could pick this up for just over £40 - bargain! Photography thanks to Liam Sibley.